Whether you have a wheat allergy, you’re trying to be healthy, or you’re simply on strike against the agricultural wheat obsession, there are plenty of gluten-free options right here in Green Bay! Yeah, chain restaurants like Subway and Panera Bread have tailored to the Gluten-Free way of eating. But… that’s not what this is about. These top 9 focus on local eateries adding original, gluten-free flavor to Green Bay’s dining experience. 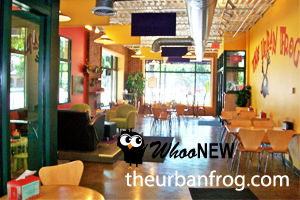 The Urban Frog’s environment is clean, warm and inviting, and all of the menu options can be made gluten-free. Wraps, buns, and bread are available for $1.00 extra. Dine for Breakfast, served all day, and even get a free cup of coffee with any breakfast wrap between 8am-11am. Try the Greek Wrap with scrambled organic eggs, tomatoes, black olives, feta cheese, and spinach, on a whole-grain tortilla and served with a side of fruit. The Sweet Potato MeatLoaf Panini is made with local organic grass-fed beef and sweet potatoes, topped with tomato, lettuce, and spicy sriracha mayonnaise. If you’re watching your calories or your wallet – half sandwiches are an option, too! The Frog is a also a fine place to dine with kids. They’ll find fun toys to play with and they’ll love to sip on some organic fresh-squeezed juice. Give the Gluten-Free Frog Cake a try. Moist chocolate cake with raspberries – delicious! Having gifted it to my good friend with Celiacs, I know it’s super good! Get gluten-free blogger, Kelsey Weaver’s, take on her experience at The Frog in her post, Out and About in GB: The Urban Frog. 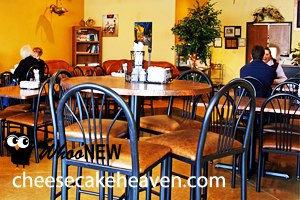 Cheesecake Heaven offers many gluten-free options! Ask to see the list when you get there. The casual environment is nice and cozy for a lunch date, a place to cuddle up on the couch to read a book, or even meet some friends out to have lunch and play a game! Just a fair warning, some menu items change daily. So, if I mention something your taste buds get set on trying, give a quick call to check what’s on the menu. 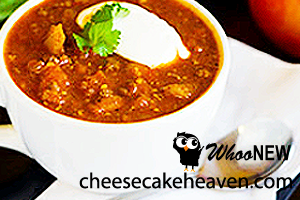 Most days, you can order homemade Gluten-Free Chili. Spiced Pumpkin Vegetable or Curried Lemon Lentil are among some of the other gluten-free soups. As for salads… the dressings are gluten-free, so try any salad on the menu. Some days they offer delicious gluten-free baked goodies like Chocolate Chip Zucchini or Pumpkin bread. With gluten-free bread and buns, you can order almost any sandwich free of gluten. One of the most popular is the Rachel. It’s a lighter version of the Marble Reuben with shaved turkey, aged Swiss cheese, and generous amounts of house Russian dressing and Sauerkraut – grilled. 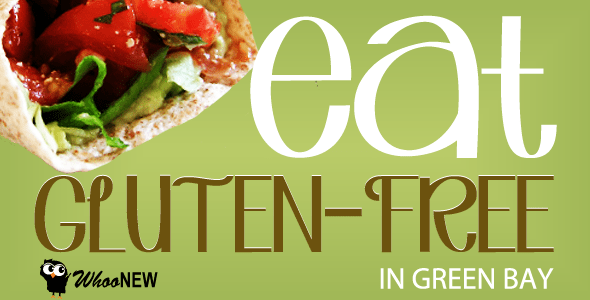 The Hummus, Chicken Pad Thai and Quinoa Salad are a few other gluten-free options. And, in case you were wondering, they do make a gluten free Original Cheesecake! Regatta 220 uses mostly locally harvested and produced products ensuring quality ingredients. Since it’s located off the Ashwaubenon Boardwalk, you’ll have a riverfront view. The thing I like most about Regatta 220’s gluten-friendly style is the ease of finding good options. Gluten-free items are listed on the main menu and labeled with a (G). Start out with some (G) Edamame and if you’re in the mood for pasta, try the (G) Mediterranean Steak Pasta. That’s seared tenderloin tossed with spinach, black olives, red onions, roasted roma tomatoes, feta cheese and portabella mushrooms in marinara sauce over fusilli pasta. If chicken is your favorite, get the signature (G) Grilled Bruschetta Chicken. It’s a chicken breast topped with fresh melted mozzarella and balsamic glaze over asparagus on a bed of bruschetta risotto. If Italian is what your stomach is growling for, then give the (G) Grilled Chicken Pizza a whirl! Grilled chicken, roasted red peppers, caramelized onions, mozzarella cheese, and roasted garlic aioli, topped seasoned with oregano and Kosher salt on gluten free crust. There are also 3 gluten-free salads too. Not just any salad. These salads have character! For example, the (G) Southwest Cod Salad has a tortilla-seared cod fillet with black bean corn relish, mangoes, avocados, and pico de gallo, over spring greens and drizzled with wasabi aioli. You’ll find this unique coffeehouse downtown, in the heart of Green Bay. Kavarna really is a great place for a night out, especially since they provide live entertainment from time to time. Everything is made from scratch with mostly local and organic ingredients. Every gluten-free item is labeled on the menu. They also make gluten-free baked goodies that aren’t on the menu. Like yummy Rice Krispie Treats or those yummy lookin’ Chocolate Raspberry Cupcakes on the right. If you’re dining in, you could give the Gluten-Free Yam Fries a try! They’ll come seasoned and baked to perfection and served with a spicy cucumber wasabi sauce. Don’t worry, if you don’t dig wasabi… Amy’s gluten-free Cowgirl Ranch dressing is an option. Gypsy Vegetable Soup is served daily and is another gluten-free choice. It’s slighty spicy and packed with hearty vegetables and garbanzo beans. I thought it had a hint of pumpkin flavor. Other than that, you can choose from 3 gluten-free salads and a variety of dressings. The Warm Portabella Salad is super good – take it from me. Imagine a marinated, grilled portabella mushroom served warm over crumbled feta, onions, and tomatoes on a bed of organic spring mix, and drizzled with Kavarna’s Grapeseed Oil Vinaigrette. If you have time, drop by the Parisi’s Delicatessen – a fairly new addition to Kavarna – serving Green Bay artisan cheeses and superior meats from Wisconsin. You can even pick up a half pound of what Kavarna claims is the best smoked turkey in town! Plae Bistro is an intimate atmosphere perfect for a romantic dinner or a casual lunch date. Pizza – Spinach & Artichoke Pizza made with Plae’s famous spinach & artichoke dip, tomatoes, mushrooms & asiago cheese. Pasta – Cajun Shrimp & Andouille Sausage Pasta prepared with spicy oil & herb sauce, tomatoes, Penne pasta, and Asiago cheese. Sandwich – Gorgonzola Peppercorn Buffalo Burger with a ½# buffalo patty, gorgonzola cheese, red onions, peppercorn mayo, and avocado, served on french bread. The Quesadilla with grilled chicken, cheddar cheese, apple-wood smoked bacon and cayenne ranch dressing is also gluten-friendly. Titletown Brewing Company is located on a historic train depot that’s been around for 100+ years! In 1996 the restaurant and microbrewery began serving what are now some of the most popular beers in the area. The food is pretty tasty too. On their menu, you’ll find the gluten-free options labeled. There are 4 pizzas that can be gluten-free. The Harvest Bounty Pizza is one of the most original with roasted butternut squash, wild mushrooms, caramelized onions, and spinach over roasted garlic and ricotta cheese sauce and topped with gorgonzola. The gluten-free crust is an extra $2.50. Titletown Chicken Wings and drummies are Celiac friendly and you can choose buffalo, beer-b-que, fire, or spicy garlic sauce. 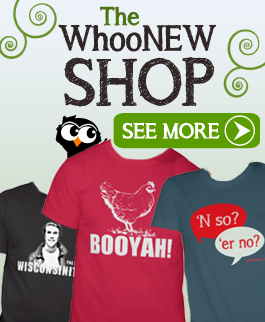 They come with bleu cheese or ranch dressing and celery sticks. Any of the pastas can be ordered gluten-free. The New York Strip Steak dinner served with smashed potatoes and fresh veg and is also Celiac friendly. If you’ve never been to Titletown Brewing Company, I’d suggest it. Gluten-free options are very clear in The Bar East’s menu with a crossed out wheat symbol. This was an interesting discovery for me. I wouldn’t have thought a sports bar would make it on my top 9 list. All of the burgers and sandwiches offered at The Bar can be prepared gluten-free for an additional $1.99. Salads can be made free of gluten for no extra cost. Or you can build your own Gluten-Free Pizza. At 45 cents per wing, The Bar offers 17 gluten-free Chicken Wing flavors. To top it off, The Bar serves Redbridge and Ultra Cider gluten-free beer! Caffe Naturally, a branch off of Terry Naturally’s health food store, is only open Wednesdays from 8am-3pm. You won’t just get a healthy meal, you can shop at their indoor/outdoor farmer’s market and buy locally produced goodness from 11am-3pm. 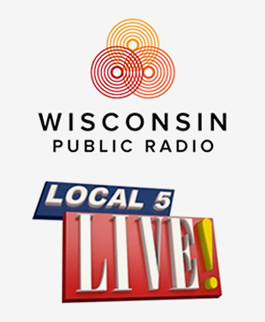 Also, you can listen to live music from 11am-2pm. This family-friendly place is very neat! A real farm-to-fork cuisine that’s truly a gluten-free kitchen and with quality organic ingredients. For breakfast you can get Gluten-Free Waffles or Pancakes topped with locally made warm maple Syrup. They also have gluten free granola to add to your organic fruit parfait, and homemade bread, muffins and steel cut oats! They use only extra virgin olive oil, avocado or coconut oil – some of the healthiest oils you can eat! Other menu options include, sandwiches all served with fresh fruit or sweet potato fries. The I Love This Caffé Quacker is duck breast with bacon, avocado spread, sunflower greens, pea-shoots, lettuce and tomato on gluten-free bread. I wish all restaurants offered this kind of quality ingredients! At Fox Harbor Pub & Grill you’ll have a view overlooking the Fox River. You can take a walk or bike ride on the Fox River Trail or even dock your boat and stop off for some gluten-free pizza and beer! The Buffalo Chicken is my favorite with spicy marinara, chicken, onions and peppers. Believe me, they do mean spicy! This has become one of my good friends’ favorite gluten-free pizza spot. If you know of a gluten-free place or dish to check out around the area, leave a comment to let us know. Graystone Pub in Ledgeview offers almost everything on their menu gluten-free (and they deliver). Sweet! Good to know. Thank you for sharing, Jennifer! That’s good to know. Thanks for filling everyone in Jennifer! 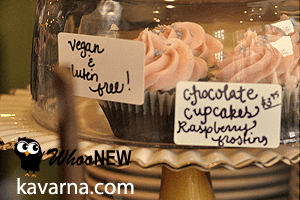 The Creamery in De Pere also serves gluten free baked goods on the weekends! Pho #1 noodle on Oneida has an almost completely gluten free menu. Nothing is stated on the menu as gluten free, but since Vietnamese food is rice based almost everything is naturally gluten free. Try their fresh spring rolls or their house pho for sure bets. Also Nakashima’s of Japan is gluten friendly. Their knowledgeable wait staff is very helpful and accommodating. Wow, great suggestions Emily. Pho #1 Noodle sounds good! Thank you so so so much! Half the fun of traveling is getting to try local fare, but it becomes nearly impossible having Celiac disease. Blogs are what I trust most (just because it says Gluten Free, doesn’t mean they know how to safely prepare the food). I might actually get to dine out before the game!!! Thank you again! You are welcome, Audra! It makes me feel so good that it is a helpful resource ; ) Enjoy getting to dine out and let us know what you try! Hagemeister Park has great gluten free burgers, pizza, wraps, and beer! Cross contamination can be a huge issue at restaurants…just because it serves gluten-free items does not mean your food choice is automatically safe. Make sure the staff is knowledgable on this issue. Just stumbled upon this article as I am only recently gf. Thanks so much! Also, Not By Bread Alone makes gluten-free bread, so any of their delicious sandwiches can be gf. Bonsia in De Pere has gluten free sushi options and gluten free soy sauce, it’s also very delicious. Sangria Mexican Grill is also Gluten Free. They will make anything on the menu gluten free for you. Was also very good. Awesome! Thanks, Kyle. 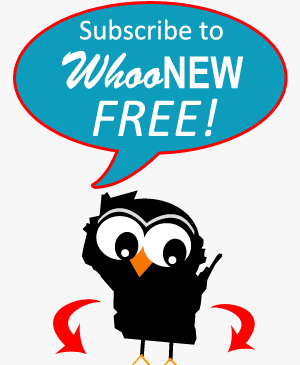 We will be featuring Bonsia in an article on WhooNEW soon. It is VERY delicious! A’Bravo is THE BOMB and has super tasty GF selections including dessert! !